There have been rumours about the release of 22K rpm hard drives for several years already and some labs even possess prototypes, 15000 rpm hard drives are still fairly considered top models in this industry. That's why they are in demand — equipping such drives with the highest performance mechanics and interfaces, developing perfect firmware, and making the most reliable hard drives, manufacturers are right to consider that these drives will be their business cards. That is customers will be able to judge about the technological level and potential performance of other hard drives from a given manufacturer. That's why the competition in the 15K sector is in focus. As manufacturers have recently updated the lines of 15K models, we decided to have a look at the new models — not just as another generation of hard drives, but as the perfect representatives of each manufacturer. In this article we'll set two most famous 15K representatives at loggerheads — Maxtor Atlas 15K and Seagate Cheetah 15K. This time it will be the second and the fourth generation correspondingly. Thinking of a title for this review, I initially wanted to interpret the ridden-to-death "Clash of Titans", which is favoured so much by various IT writers (I also had a review with a chapter entitled "Crap of Titans" once — fortunately I avoided the clash word :)). No crap this time, sorry, clash; but the titans are present: one of them knocked the other out in the first round — beta versions of firmware. It turned out that the same results were also obtained in several other independent test labs. The return match has taken place later — with production versions of firmware — the loser got noticeably better and more confident. But still it was knocked down several times and lost the match on a decision. But I'm putting the cart before the horse, let's be consistent. Maxtor Atlas 15K II (8E073J0) and Seagate Cheetah 15K.4 (ST3146854LW). Specifications on the 15K models from Maxtor and Seagate of the latest and previous generations are provided in Table 1. Table 1. Main characteristics of modern Maxtor and Seagate 3.5" 15000 rpm Ultra320 SCSI drives. 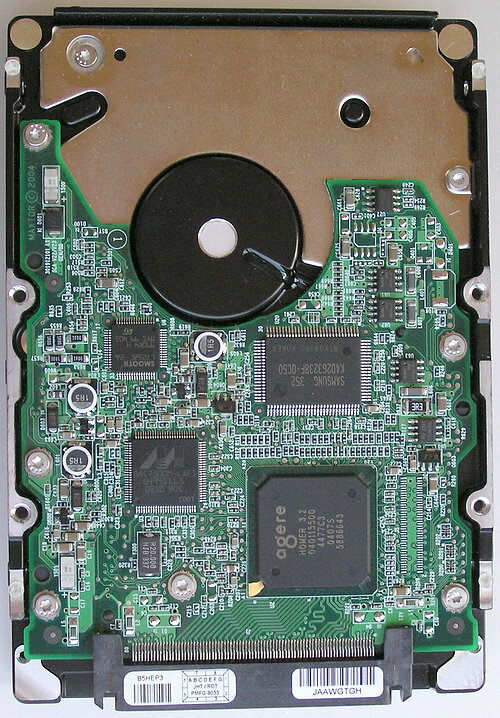 In comparison with previous generations of 15K hard drives, the state-of-the-art models have a doubled data density (now these drives use 37GB platters), noticeably (approximately by one third, though it's less than the square root of the doubled data density) increased linear read rate, which nearly reaches the cherished 100 MB/sec, a tad faster (by 0.1-0.2 ms) seek rate, and increased reliability — up to 1.4 million hours of MTBF. But the most important thing — the maximum capacity of models is doubled. Now a single 15K hard drive can accommodate up to 147GB. Did anything get worse? Strange as it may seem, yes — weight and power consumption/ heat release (judging from the specifications) in Maxtor Atlas 15K (unlike Seagate Cheetah 15K, where these parameters got better). Proceeding with the Atlas vs. Cheetah comparison of the latest generation, we can ascertain that the linear read rate and the average read/write access rate are a tad better in Maxtor drives, the latter drives are much heavier and less economic in idle mode (no seek/read/write, but the drive is rotating). In other respects both manufacturers offer approximately similar specifications. If you think that SCSI is dead, you are wrong — the new drives are mostly intended for this interface and use the fastest modification Ultra320 SCSI (though Seagate provides modifications for other interfaces as well — FibreChannel and Serial Attached SCSI). Moreover, at least two more generations of enterprise storage devices from these companies will be designed for Ultra320 SCSI. Controllers of both hard drives use similar circuitry to control mechanics (based on Marvell and Smooth chips), and obviously different signal processors, see the photo (click the photo to enlarge it). By the way, both models still use 8MB buffers, though even personal storage devices tend to enlarge their buffers to 16MB. Maxtor Atlas 15K II, 8E073J0, rear view. 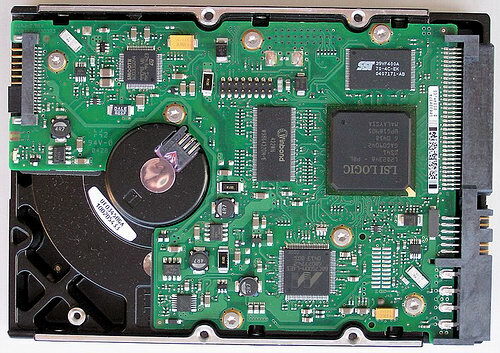 Seagate Cheetah 15K.4, ST3146854LW, rear view. Maxtor claims that Atlas 15K II is the first 15,000 rpm hard drive, designed for increased MTBF (1.4 million hours), though the new 15K Cheetah offers the same reliability. Both manufacturers note that their 15K models are 30-39% faster than their 10K hard drives. Seagate stresses that the fourth generation of their 15K models (it has more expertise in this field than its competitors) feature Seagate-exclusive enhanced Error Correction Code, which improves performance and reliability of the drives, as well as Background Media Scan, a Seagate exclusive feature (I don't know whether it's that exclusive :)) that proactively scans the media for potential defects and corrects them during drive idle time. And finally, before the tests, a few words about the firmware of the hard drives under review. 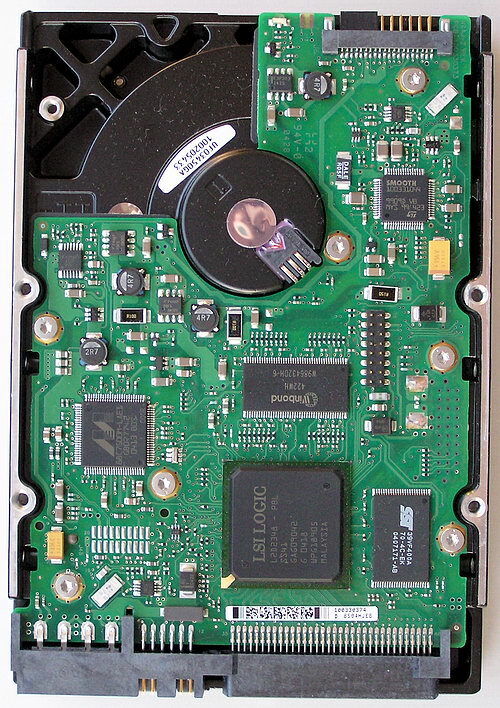 I have stressed several times in my articles in recent years that the struggle for hard drive performance has been drifting away from physical and mechanical parameters of hard drives (access times, linear read rates, interface rates, buffer sizes, etc) towards how well the firmware (caching policy in particular) takes into account OS and applications peculiarities. That is the HDD performance increasingly depends on its firmware implementation rather than on its specifications. Very often physical characteristics of hard drives are not important at all (within due limits, of course :)) or of little importance. We have seen the proof of these words many times in practice. This very article also makes us pause over the leading role of firmware in testing HDD performance — even enterprise drives. Maxtor Atlas 15K II, the 8E073J0 model with evaluation firmware. and the FW0002 version for Seagate Cheetah 15K.4 (ST3146854LW). Not only that the results turned out depressing for one of the contenders; the other manufacturer released a new (production, this time) firmware version for its hard drive. I had nothing to do but to take the latest (according to the manufacturer at the time this article was written) firmware version for the other drive as well and to re-run the full cycle of tests for both hard drives with serial firmware versions: JNZ3 for the hard drive from Maxtor and FW0003 for the hard drive from Seagate. and requires reboot for the changes to take effect. HD Tach 2.61 test results for Seagate Cheetah 15K.4 147 GB with various firmware versions (the FW0002 is above and the FW0003 is below). We are going to see below what else has changed after the firmware update. This motherboard was chosen on purpose. Firstly, Intel E7210 chipset is intended for workstations and single-processor low end servers based on Pentium 4 and Xeon (which conforms well with the application area of single SCSI drives of this class), though it will do well for desktop systems (because it's based on the i875P, which we use for testing ATA drives). Secondly, this professional system contains a fully functional (with some reservations though) PCI-X bus (as well as PCI64), provided directly by the chipset (instead of additional bridges). 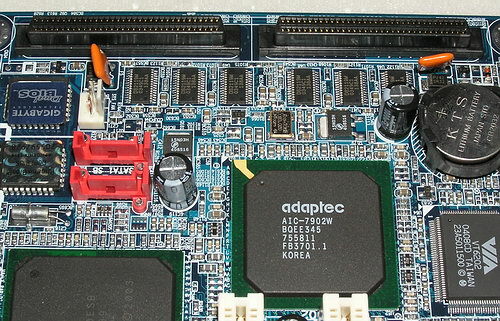 Thirdly, this motherboard houses a modern dual-channel Ultra320 SCSI controller — Adaptec AIC-7902B, connected to PCI64 bus. Fourthly, this SCSI controller fits our purposes much better (testing hard drives proper) than a more expensive one with onboard memory, because Adaptec seems the most popular (at least in our country) brand of SCSI controllers. No additional memory in this controller allows to measure HDD performance in the "purest" form, unaffected by possible caching of the controller and its data stream processing algorithms. The controller (non-RAID mode) uses Adaptec driver 3.0.0.0 dated September 2004. The tests were carried out under MS Windows XP Professional SP2. The hard disks were tested not partitioned (in Intel Iometer, H2Benchw and AIDA32 tests) as well as partitioned and formatted by regular operating system tools depending on a test type: one NTFS partition of maximum size for testing the average access time and plotting the read speed graph in WinBench 99 and two NTFS or FAT32 partitions of the same size for other tests (WinBench Disk WinMark 99, ATTO Disk Benchmark test, multithreaded read/write, and the Adobe Photoshop CS test). Each NTFS partition occupied half of the entire disk capacity (that is the second partition started exactly from the second half of the disk). FAT32 partitions were 32768MB, the first one starting at the outer edge of the media (on the "fastest" tracks), and the second — exactly from the middle of the media volume. NTFS and FAT32 cluster sizes were selected by default — 4 and 16 KB correspondingly. The hard drives are mounted firmly on the metal racks of a chassis and cooled by a small front panel fan for a 5-inch bay (the drives would get overheated in a couple of hours without additional cooling). Before the tests, we warmed the hard disks for 20 minutes using a utility with active random access. At first, let's have a look at the graphs for linear read rates. Maxtor Atlas 15K II noticeably outperforms Seagate Cheetah 15K.4 in linear read/write speed. That's not because the maximum rate of the former drive at the beginning of the disk is 97.7 million bytes/sec, while the latter offers "just" 93.2. More importantly, the former drive outperforms the latter in the average rate by as much as 15%. What concerns the minimum rate (at the end of the disk), its advantage grows to 32%! As both hard drives belong to the same generation, that is they use similar heads and magnetic coating of platters, this significant difference is just bound to invite some questions. It turns out that Maxtor drives actually use a more progressive approach to formatting platter sides. The fact is that the WinBench99 graphs (see above) are generally rather smooth and raise no suspicions at first sight. However, if the graphs are less smoothed, Maxtor demonstrates a typical "pattern". Detailed linear read rate graphs for Maxtor Atlas 15K II 8E073J0 and Seagate Cheetah 15K.4 ST3146854LW. Accurate periodicity of linear read rate oscillations obviously means that different platter surfaces of this Maxtor drive are formatted with different linear data density, which may differ by up to 13% in absolute terms!!! This drive has four heads, thus the number of "shelves" on the graph (which are not very distinct here) must be divisible by four in each oscillation period of the graph (you can make out eight shelves here). The period itself is approximately 50MB and grows less from the outer to inner platter sectors (which is quite reasonable). I'll publish several graph fragments for these two drives with distinct formatting zone boundaries in order to illustrate the so called adaptive formatting of the Maxtor drive, where each head-platter pair is calibrated (formatted) with individual linear data density to obtain maximum linear rate within the specified read/write reliability index. Seagate Cheetah 15K.4 zone boundary. Zone boundaries in Maxtor Atlas 15K II (marked by arrows). Zone boundaries in Maxtor Atlas 15K II (marked by an arrow) and Seagate Cheetah 15K.4. The character of the shelves (that is individual formatting density of each Maxtor platter surface) changes from zone to zone, though the zone distribution (that is zone boundaries) seems to be the same for all surfaces of a drive. We cannot say for sure that adaptive formatting IS NOT used in Seagate Cheetah 15K.4 (because our method resolution is not sufficient, and the translation of physical sectors into logical may noticeably distort the picture), but that seems to be true. 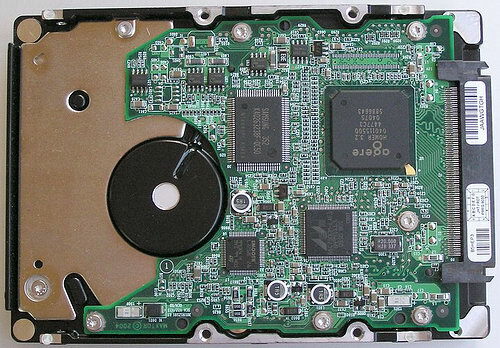 That is Maxtor drive squeezes its platters unmercifully for data density and rates (a much higher minimum read rate at specified platter capacity also corroborates this fact), while Seagate uses the old way of formatting and makes for the predefined data density for this technology, without taking into account individual capacities of each drive. 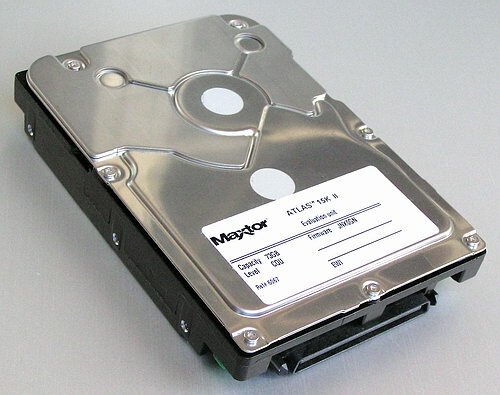 On the one hand, it's an evident performance advantage for Maxtor drives, but on the other hand, hard drives (even from the same consignment) from this manufacturer may differ significantly in linear read rates, which provides the spread in performance even in hard drives of the same model. As Seagate already started to use adaptive formatting in some other drives (for example in Barracuda 7200.8 and 1-inch drives), a similar technology will probably be used in enterprise drives soon. Our contenders also have some differences in Ultra320 SCSI performance, this time Seagate is obviously at advantage, its transfer rate exceeds 170 MB/s (that is Ultra320 interface has its effect, while Maxtor with its 150 MB/s raises some doubts — theoretically, Ultra160 SCSI is also capable of such burst rate). But such interface rate differences with an 8MB buffer can be considered absolutely insignificant in real applications. Seagate Cheetah 15K.4 is obviously slower in average disk access time — it's outperformed by 0.4 ms. Complete accord with the specifications is a weak excuse (because the capacity of the Maxtor model is twice as small), though both drives seek by 0.2ms slower than the total of the average latency and the average seek time claimed in the specifications. I can also note that the average access time may vary in time even in these enterprise drives, depending on heating, for example. It's demonstrated by the following average access time graph, plotted in AIDA32 for Seagate Cheetah 15K.4 for about 10 minutes — the average disk access time has grown by 0.1-0.2 ms from the beginning to end (click the graph to see a full-sized screenshot). In this case we cannot see significant differences between Maxtor and Seagate drives — Maxtor caches write data a tad more effectively, but we can write it off to the difference in physical seek rates. Another illustrative test of the "interior design" of the hard disks is the read/write speed on files of various sizes with various block sizes from 512 bytes to 1 MB. For this purpose I traditionally use ATTO Disk Benchmark. The screenshots below display the results for the four sizes of a test file — 128KB (256KB and 512KB as well), 1MB, 4MB, and 32MB. While the first and the second file sizes are, as a rule, surely cached in the disk buffer (caching read/write data for a 1 MB file is not that simple), there is simply no room to fit in the last file size. Caching the last but one file size depends not only on the buffer size, but also on the hard disk firmware (by the way, results of this test practically don't depend on the choice between FAT and NTFS). According to the results of this test, Maxtor Atlas 15K II is at a great advantage — it efficiently caches files of up to 4MB for reading (while Seagate Cheetah 15K.4 — only up to 1MB). Besides, Maxtor is better at reading files in small blocks. Let's proceed to HDD performance in applications. At first, let's find out how well the hard disks are optimized for multithreaded operations. I traditionally use NBench 2.4 tests for this purpose, where 100MB files are written on the drive and read from it in multi-threaded mode. This diagram lets us evaluate the efficiency of multi-threaded lazy write procedures of the hard disks in real (not synthetic, as on the diagram with the average access time) conditions when the operating system works with files. Maxtor's leadership in writing data with several threads is safe (Maxtor drives have always been good at it), while Seagate Cheetah is considerably outperformed even in two write threads (however, it recoups itself with four threads). The situation is contrary in multi-threaded reading — Seagate drives are in the lead, Maxtor looks mediocre at two long distance reading threads. Note that various firmware versions have never had a noticeable effect on drive performance so far. But later on the picture will change much. At first let's have a look how the hard drives fair in old but still popular Disk WinMark 99 tests from the WinBench 99 package. We carry out these tests not only for the beginning but also for the middle part (in terms of capacity) of physical hard drives for two file systems. The diagrams display average results. Of course, these are not "profile" tests for 15K SCSI drives. We publish these results to pay tribute to the test and those users who are accustomed to evaluating drive performance in WinBench99, not because we want to determine the "fastest professional drive". But we can note to console you that these tests will demonstrate to a certain degree the performance of these enterprise drives in typical desktop tasks. As you can see, the firmware update increased the "desktop" performance of Maxtor Atlas 15K II only insignificantly, but it cardinally improved the performance of Seagate Cheetah 15K.4 in these tasks. The Seagate drive with the new firmware is not outperformed that heavily by the leader, both in office and in professional performance. Recent complex benchmarks for desktop performance evaluation in PCMakr04 and C'T H2BenchW use "replaying" previously recorded HDD activity tracks in corresponding applications and measure completion times of each track, the total average result is calculated afterwards. The disk test in popular Futuremark PCMark04 is often used by common users for express-evaluation, though it's not free from shortcomings. We provide its results not for the sake of an objective picture but to let our readers get their bearings on their own results. The situation in WinBench 99 repeats itself here: the updated firmware in Seagate Cheetah 15K.4 allowed to close the initially large gap between this drive and Maxtor, for which the new firmware provided only nominal changes. Almost the same picture can be seen in a similar track test H2benchW, though the difference between Maxtor Atlas 15K II and Seagate Cheetah 15K.4 before the firmware update was catastrophic here — more than twofold! However, even with updated firmware, Seagate demonstrates only two thirds of Maxtor performance. At last Seagate Cheetah 15K.4 recoups itself in Adobe Photoshop swapping performance, having outscored Maxtor Atlas 15K II by ten percents. Unfortunately, it's one of the few tasks, where the new 15K model from Seagate is faster than its competitor. Let's proceed to tasks, more typical of the usage profiles for these drives. We also use special patterns in Intel IOmeter to imitate hard disks operating in various applications. At first — traditional popular patterns, offered by Intel and Storagereview.com — imitation of various servers (DataBase, File Server, Web Server) and a Workstation. The situation is similar in all the three server patterns: Maxtor Atlas 15K II is obviously faster than Seagate Cheetah 15K.4 with any request queue depth, though the advantage is not very large, just 10-20%. Newer firmware versions provide only insignificant gains. Perhaps, the faster seek and linear read rates allow Maxtor to demonstrate such results here. As a result of averaging server loads, Maxtor Atlas 15K II offers higher performance than Seagate Cheetah 15K.4 by those 10%. What concerns the workstation pattern (which is actually not that different from the server patterns, displayed above), there appear some details: before the firmware update the Seagate drive was cardinally outperformed by Maxtor Atlas 15K II in high request queues; but after the update Seagate Cheetah 15K.4 got improved to tolerable "minus 15%" from the leader. The firmware update has a good effect on the averaged performance diagram in Workstation pattern as well. Now it's turn for our own IOmeter patterns, which are closer to desktop applications, though they are indicative of enterprise drives as well, because even in "deeply professional" systems a lion's share of hard drives' operations fall on reading/writing large and small files and sometimes file copying. As the access character in IOmeter (by random addresses within the entire drive capacity) is more typical of server-class systems, these "simple desktop" read/write patterns get more important in these drives. Initially the drives were approximately on a par in reading large files (like archives, large databases, audio, video, large photos, etc), Maxtor was a tad faster at the queue depth of 64. But after we updated Seagate firmware, this drive has become much faster than its competitor in this test! 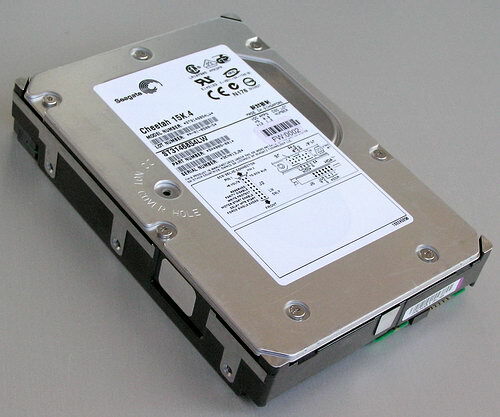 It suggests an idea that this Seagate drive will be good in a video-on-demand server and tasks, when it will be required to read efficiently large files and stream data. On the contrary, the firmware update gave nothing to the Seagate drive in the imitation of writing large files (as in multi-threaded writes, it features a performance gap at four threads), but it obviously deteriorated the performance of the Maxtor drive in such tasks. On the whole, Seagate Cheetah 15K.4 writes a single thread more efficiently, but Maxtor Atlas 15K II is a tad better at average request queues. Large files turned out strong meat, the predatory cheetah managed them better. Seagate's position changed considerably in the imitation of reading/writing small files: the updated firmware again cardinally accelerated reading (as in case of large files) but had absolutely no effect on writing. But even this fact was not enough for the cheetah to outscore Maxtor Atlas 15K II in reading small files at the request queue depth exceeding 4. And before the update Seagate drives were fatally outperformed. Unfortunately, the same situation is in writing. As a result, Maxtor is without a rival in serious operations with small files. Despite the success of Seagate Cheetah 15K.4 in reading large files, more complex operations with such files turned out beyond its power: Cheetah turned out several times(!) as slow as Maxtor in the imitation of copying large files (however, it's a frequent task for a server drive), the firmware update was of no help here. The same situation (in a different wrapper) can be seen in copying small files — Maxtor is almost twice as fast as its updated rival. Having done geometric averaging of the six previous graphs, we see that Maxtor Atlas 15K II is at an average much faster in these operations (reading, writing, and copying large and small files); Seagate Cheetah 15K.4 is outperformed almost twofold with the old firmware and by a quarter — with the new firmware. Maxtor Atlas 15K II takes the lead again in the defragmentation pattern, though the new Seagate firmware can significantly raise the performance. And finally, Maxtor is much faster than Seagate in the streaming read/write pattern at large and small blocks (it's another desktop rather than server pattern, though it's quite a typical task in security servers) — especially at large queue depths (for example, when there are a lot of terminals and cameras) or operations with small blocks. If the system works with large blocks with a unit depth queue, both drives are on a par provided Seagate Cheetah 15K.4 uses Firmware 0003. Subjectively, both drives are noisier than modern desktop drives, but they are obviously quieter than SCSI drives three years ago. So you can feel some progress. Though you still cannot build a quiet server for workgroups, getting increasingly popular this year, with 32dB in idle mode (it's much higher in seek mode!). What concerns power consumption and heat release, you can see the specifications at the beginning of the article. Subjectively, they get heated much and additional cooling is necessary if you want them to work for a long time. You'll have to forget about the quiet operation in this case as well. So, the 15K hard drives of the new generation from Maxtor and Seagate have started their journey to customers. This journey promises to be very successful, as there are no models offering higher performance and reliability so far. Besides, the capacity increased to 147GB is just what modern servers need. SCSI is alive and hopes for its death in the near future are exaggerated. At the same time, if we compare the performance of Maxtor Atlas 15K II and Seagate Cheetah 15K.4 drives, the latter drive will surely not score against the former drive in most potential applications (both solutions are approximately on a par in everything except performance). The fact is that even noticeably rehauled firmware in Seagate Cheetah 15K.4 did not allow these drives to compete with the rival — Seagate drive has some chance of success only in rare specific tasks, while in most cases it is obviously slower than Maxtor Atlas 15K II. To all appearances, better physical characteristics of the latter have nothing to do with it (the average access rate and the linear read rate due to individual formatting of each platter). The fact is that Maxtor has a more balanced, thought-out, and fine-tuned firmware, while there is sometimes significant difference in test results for the latest and the previous Seagate Cheetah 15K.4 firmware versions, which indicates that Seagate firmware is rather buggy. But on the other hand, there is hope for a future version, which will noticeably increase Cheetah performance again so that it can gain revenge on Maxtor for the knockdown in the previous round.